I think of my Hass avocado tree as small even though it is far bigger than the newly planted trees above. As I looked at my Hass last week, it stood 17 feet tall. It was time to prune. I prune it every year in order to keep it down to 15 feet. 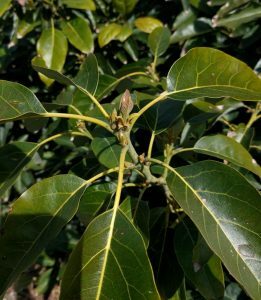 This post is about continually keeping an avocado tree down to an unnaturally small size while still getting as much fruit as possible. How can we accomplish that? So I set up my camera and recorded video as I pruned the Hass. Sorry that the top of the tree jutted out of the frame. There is no way to reshoot a pruning video — there’s no putting the branches back on and trying again. Anyway, if you can’t watch, then just know this: the main things I show are that I use a pole pruner and a pole saw to get the job done, I cut back to lower lateral branches, I try to cut back to branches that grow vertically and toward the south if possible (for less sunburn susceptibility), and that it’s not much work. It really does only take a couple of cuts to keep the tree down to 15 feet as long as I prune every year. 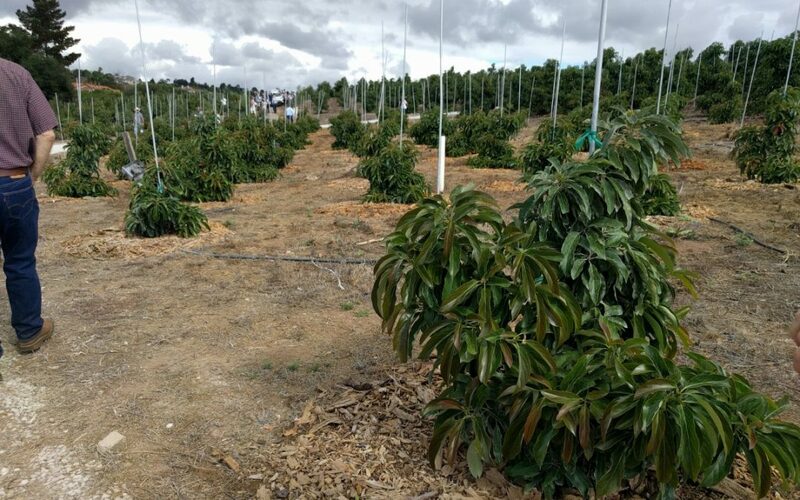 If you miss a year, then you’ve got more wood to cut and you lose some fruit production because avocados make most of their fruit on the outer edge of their canopies. Last year, I pruned on January 26 (2018). This year, it was March 24 (2019). I just try to prune before there are too many open flowers so I don’t have to mess with bees and so I don’t feel bad cutting off open flowers. And I try to prune after the tree has started to wake up from winter and grow a little; this way I’m confident that as soon as I cut, the tree will cover newly exposed branches with new leaves: no sunburn. The latest I have pruned avocado trees to keep them small is June, and it wasn’t ideal because I then had to paint upper branches to protect from sunburn — not easy on a 15-foot tree. Pruning during summer is not a great idea because of sunburn, and also because you’re likely to have to cut off a bunch of fruit. I’ve done that before, and it really hurt my heart. With my Hass this year I only had to bring the top down a bit, but with my Reed (which I keep about 12 feet tall) it was a side which had grown out of bounds. The Reed is growing as part of an avocado hedge along my driveway, and I had to cut back a branch on its west side that was shading and impeding the growth of its neighbor. But how far back to cut it? There’s now enough space for the Reed to flower along the left (west) edge of the canopy and grow fruit there that can be left to develop until next summer when we’ll eat it. So every time you prune, you’re not pruning to the desired maximum size of the tree; you’re pruning to a bit behind or below that. 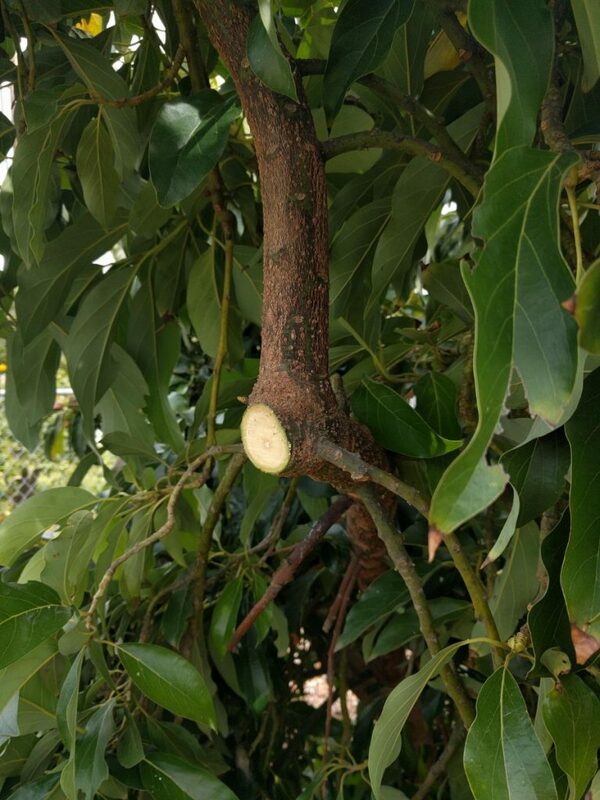 I think of it as pruning to wherever I want the highest or most outside fruit to grow (allowing for at least six inches of leaves to grow beyond that to protect the fruit from sunburn and cold). 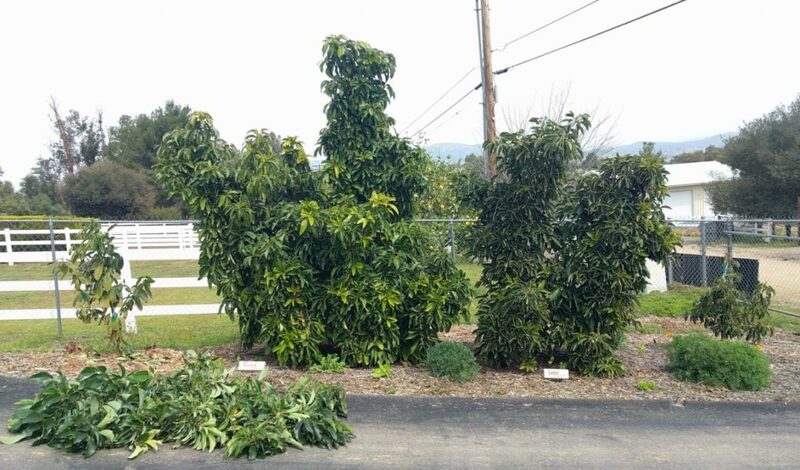 Avocado trees usually grow at least a couple feet each year, mostly in summer, but you don’t have to let them. I don’t always wait until late winter/early spring to prune. For example, after the fruit sets on that Reed and new leaves grow beyond the fruit, I’ll occasionally nip the foliage back with my fingers, just by pinching off the new, red growth. What will happen is the leaf buds below the pinch will grow, but most likely the growth will be not as unidirectional. Rather, it will spread out laterally, bush out. This pinching can be done any time from when the new growth is just a half inch like above or when it’s a couple inches long already. It’s a handy technique to slow down and spread out the growth. With a small number of cuts done every year, and possibly some pinches, you can keep an avocado tree down to 15 feet (my Hass), 12 feet (my Reed), even 10 feet. Or how about eight feet! 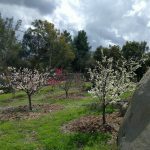 And if the pruning cuts are done at the right place and in the right time, our trees will still make quite a lot of fruit for their small size. 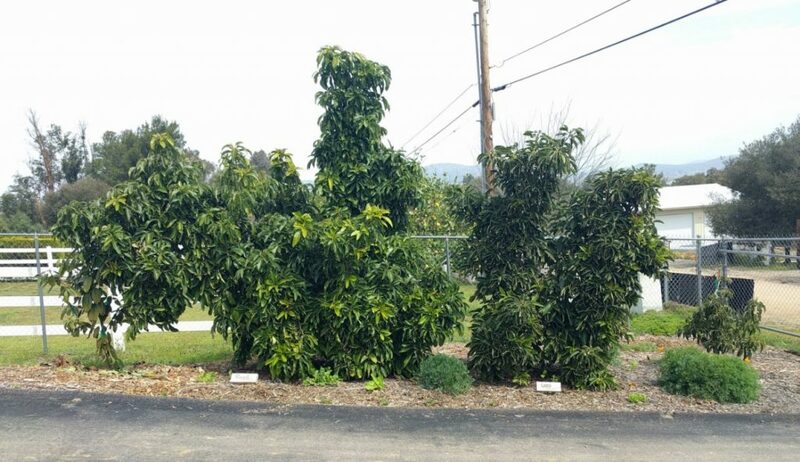 Can you grow an avocado tree in a small yard? Thanks for writing. 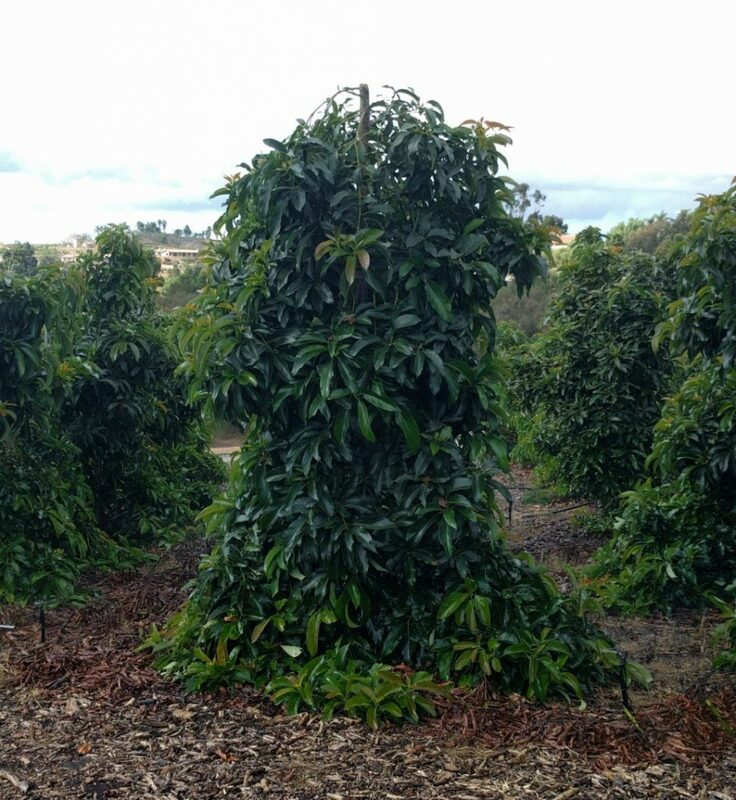 If the goal is more fruit production, then pruning the tree is unlikely to have that effect. The bigger the tree, the more fruit it can produce. I prune my avocado trees to keep them small for exactly the reasons you mentioned. If I just had one tree, and it was a Fuerte, I would let it get as big as possible so it would make the most fruit — and so I could climb it. 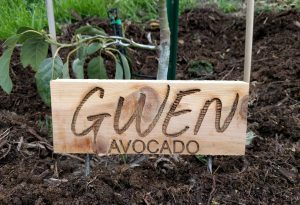 But I’ve got many avocado trees in my yard so I keep them pruned small in order to be able to fit them in, so they use less water, so I can pick all the fruit easily, and so I don’t have more fruit than I can easily eat and share. Since they are all different varieties, they have different harvest seasons so I’m not overloaded with avocados at just one time per year. It sounds to me like you shouldn’t prune your Fuerte. 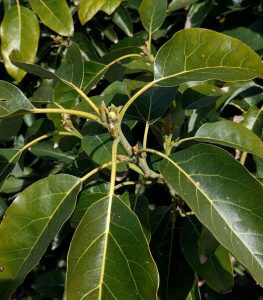 Avocado trees, in general, have no need of being pruned for fruitfulness or fruit quality (unlike some other fruit trees). Do you feel like your tree doesn’t produce as much fruit as you’d like? Thanks for the kind feedback. Unfortunately, a lot of the U.C. 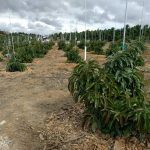 information is oriented toward farmers and not backyard growers, and there are many important differences between growing an avocado tree in a grove situation versus a normal yard. I try to bridge that gap here. 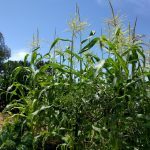 The short of it is that farmers and researchers have been trying for a hundred years to show that fertilizing a bunch will increase yield, but it just won’t. 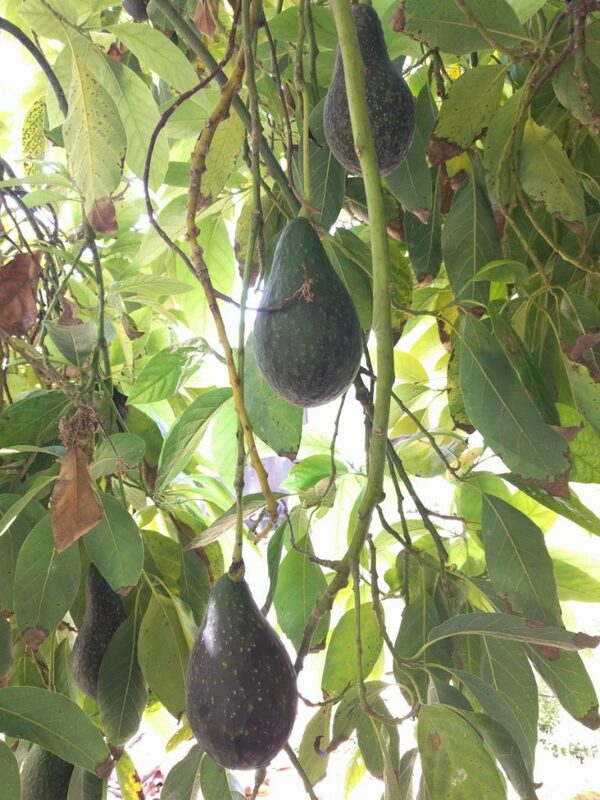 Avocados don’t need much nitrogen in order to produce fine crops. In fact, it has been found that their yield goes down if too much nitrogen is applied. In addition, fruit quality goes down. Yet farmers and backyard growers everywhere continue to throw lots of fertilizers at their trees. 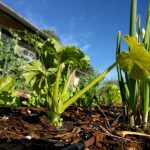 Beyond a moderate amount of fertility in the soil, there’s no benefit in adding more — except to whoever is selling you the stuff. That’s what the researchers have found, and that aligns with my own personal observations. As for what a moderate amount is, and how you know if you have it, see my post linked above.